Published: Tokubetsuten Kawaii Minichua, MOA Museum, Atami, 2005, pl. 48, p. 21. The wide shallow bowl with everted rim is supported on a solid stemmed foot with widely splayed base and is distinguished by a sharply cut step surrounding the base of the bowl. A minutely crazed, clear, colorless glaze covers all but the base where the off-white, hard, dense body is visible. In tea lore, when the snow-white wares of the Xing kiln are likened to silver, one is led to think of the general similarity in the aesthetics between the two, but in this present cup we see that the association can go even further. 1. 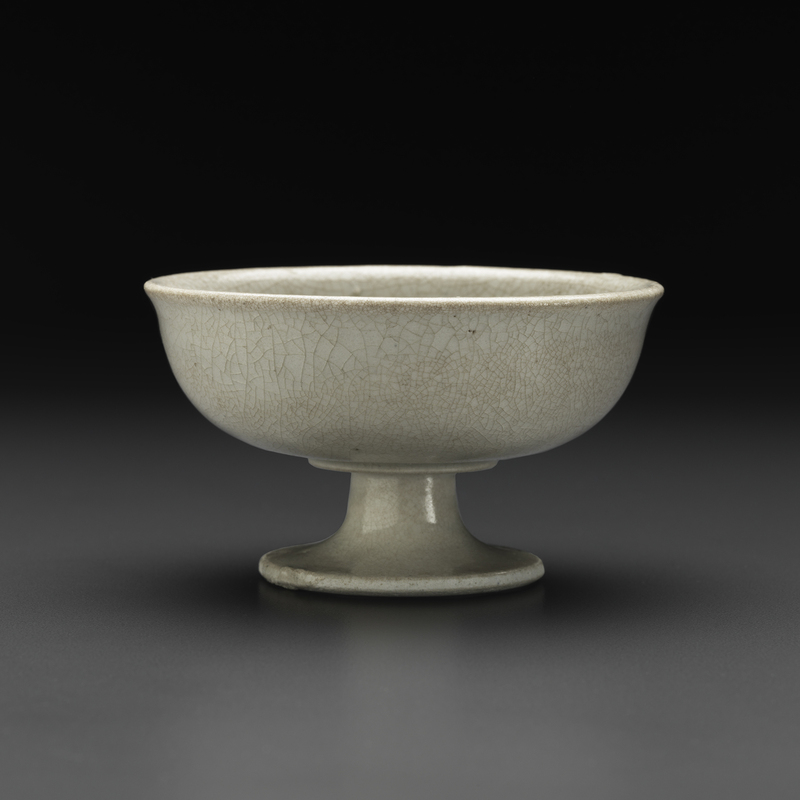 See Bo Gyllensvard, Chinese Gold & Silver in the Carl Kempe Collection, Stockholm, 1953, pl. 113, p. 170. 2. See Wenwu, 1987:9, pl. I:2 and Tang Pottery and Porcelain, Nezu Institute of Fine Arts, Tokyo, 1988, no. 65, p. 100.